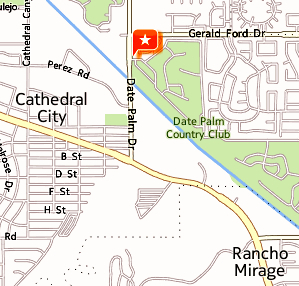 Turn into the DATE PALM COUNTRY CLUB at the Security Gate. 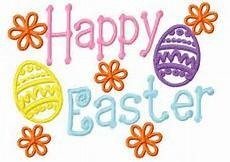 dial 888 to call AJ's and they will let you in. AJ's is on the LEFT overlooking the lake. that will take you to AJ's rear entrance. 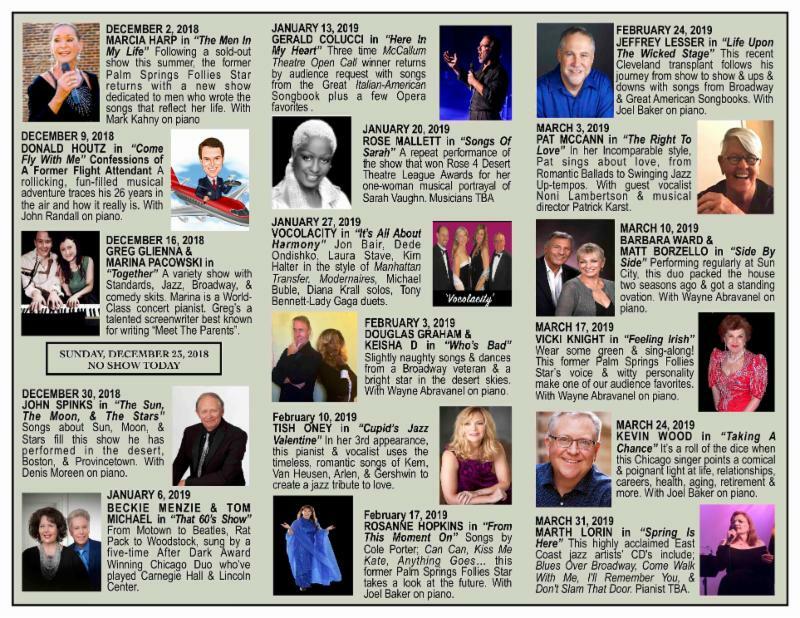 Welcome to Les Michaels and Life Is A Cabaret Home Page. 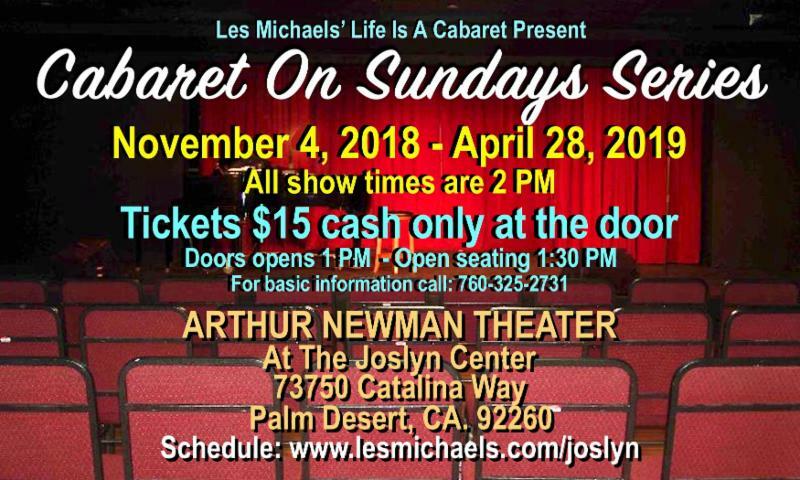 Les Michaels is the publisher of the Life Is A Cabaret Newsletter which comes out on Monday nights and features news about cabaret performers, open mics, auditions, and much more. 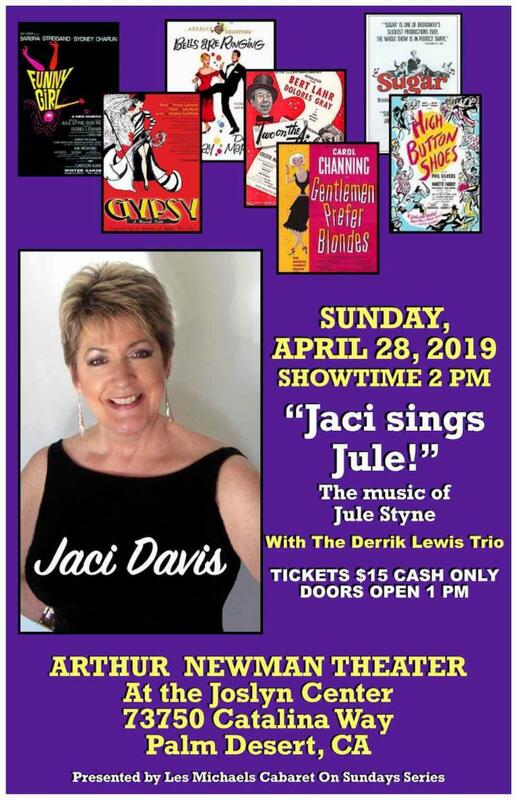 Les is also the Palm Springs Columnist for CABARET SCENES MAGAZINE, the only National publication dedicated to the art of cabaret featuring articles on cabaret artists and venues. 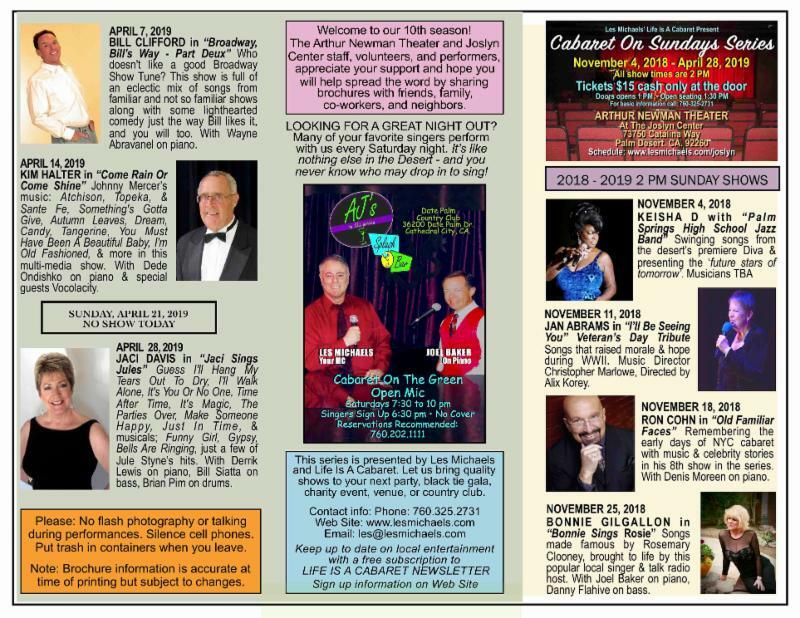 See www.cabaretscenes.org for more information. 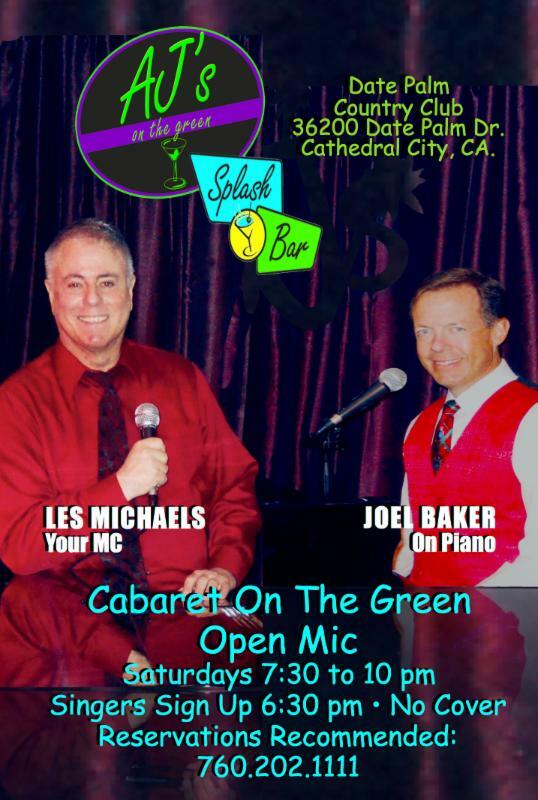 Les hosted Cabaret Open Mic for 7 years in Los Angeles and 6 years in Palm Springs and is a cabaret producer - currently bringing top entertainment to the Palm Springs & other Desert Communities.